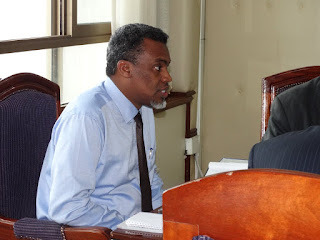 Saturday August 25, 2018 - The Director of Public Prosecutions, Noordin Haji, has ordered for the immediate arrest of six people - one businessman and five County officers over irregular awarding of tenders and payments at the Nairobi County Assembly. This is after investigations revealed that Primara Ventures, owned by Raphael Mwinzi Maluki, was irregularly awarded a tender for the supply of books worth Ksh.997,926 to the Nairobi County Assembly Resource Center. In a statement to Kenyans, Haji noted that he was satisfied with the probe and that the six have a case to answer. According to the DPP, the books were never supplied and the money was paid. “The investigations also established that the said tender was never advertised and the quotations used during the process were irregularly prepared by procurement officers attached to the Nairobi County Assembly,” reads the statement. “I have independently reviewed the file and am satisfied that the persons named herein actively participated in the perpetration of the alleged criminal activities and should therefore be charged and prosecuted,” said Haji.